AKIPRESS.COM - Fuel tax rises which have led to weeks of violent protests in France have now been postponed for six months, BBCreports. The move was announced in a televised address by PM Edouard Philippe, who said anyone would have "to be deaf or blind" not to hear or see the anger. The protests have hit major cities, causing damage and disruption over the past three weekends. 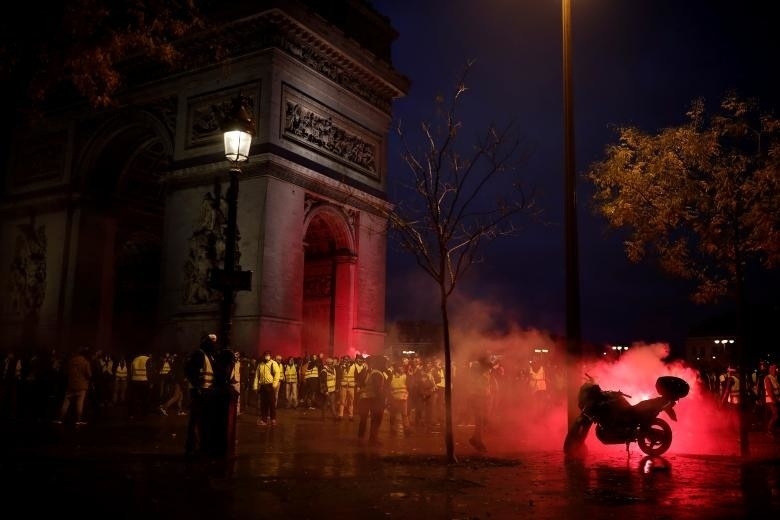 The "gilets jaunes" (yellow vest) protests have now grown to reflect more widespread anger at the government. President Emmanuel Macron was elected last year with an overwhelming mandate for sweeping economic reform, but his popularity has fallen sharply in recent months amid accusations that he is a "president for the rich".